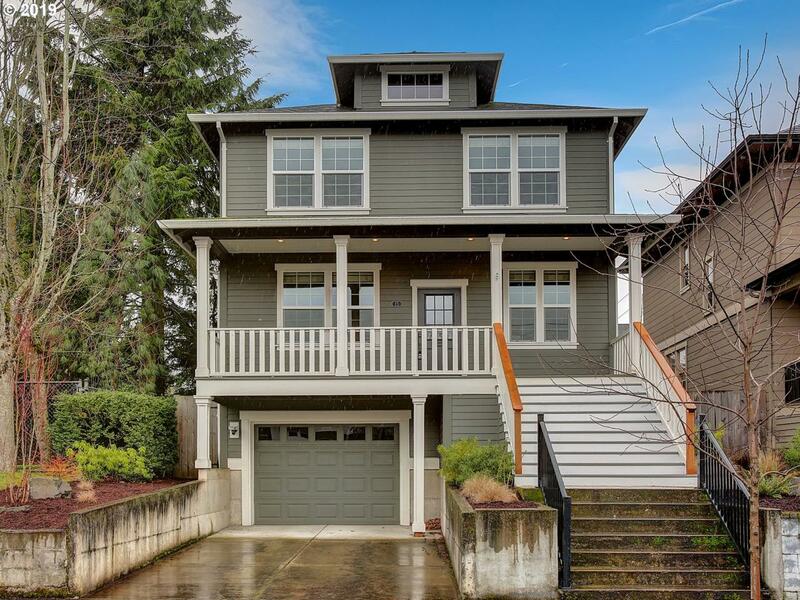 Spacious 2012 contemporary craftsman just three blocks walk to coffee shops & restaurants of Montavilla. Three bedrooms up with large master suite. Open kitchen w/marble counters, large island, built-in breakfast nook & large pantry. Black birch & oak hardwoods. Family room, den/office, living & dining rooms make up the main floor. Downstairs TWO bonus rooms allow for media room, games room, extra storage etc. Landscaping by Pistils.